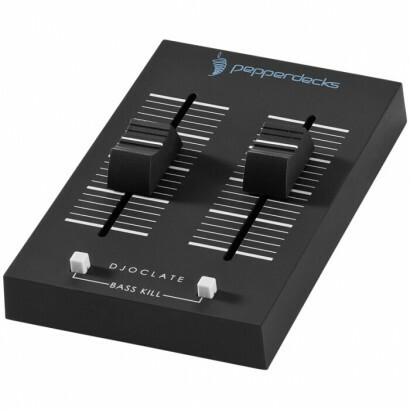 The Djoclate is an easy, fun to use, battery free pocket size audio mixer with full-size faders and a bass kill feature, which enables you to mix your favourite tracks from your smartphone, tablet or laptop. Incl. pouch, 2x 3,5 mm cable jacks in black gift box (size: 18,5 x 18,5 x 3,9cm). No battery needed. Plastic.